Once in a while something very special happens locally which needs to be celebrated. In 2012 Sark's Carl Hester's outstanding achievements in the Equestrian world are something we are extremely proud of. 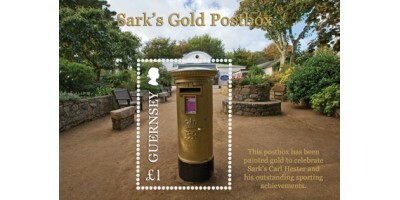 This is the first time that Guernsey Post has changed the colour of Sark's Postbox since it was painted blue in 1980, 11 years after the company became independent from the British Post Office in 1969.